Unfortunately, I'm not sure if I understand your question here correctly since you've only written "Phone Number" as the thread title. Are you referring to a Phone Number Field? Or are you asking if Our Company has a Phone Number? 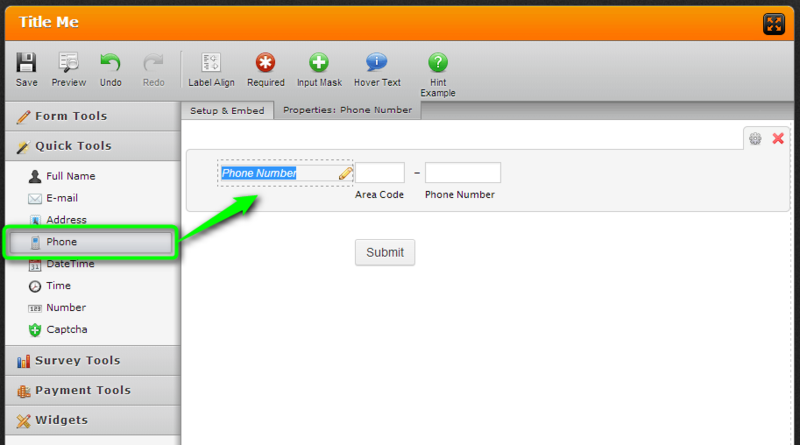 If you are looking for the Phone Number Field you can find it by referring to the screenshot below. Whereas if you are looking for a Phone Number for JotForm then you will not find one because we do not provide phone support. The fastest way to get ahold of us is here in the forum.